Sondra Hamilton is a Mystic Herbalist, and Ayurvedic Health Counselor who works with the wisdom and elements of Mother Nature including: plants, stones, sacred mountains, water, air, ether, fire, water and earth. In 2012 Sondra heard the calling from the plants and enrolled in a Plant Spirit Herbalist program in Denver, CO. She started to have a remembering process of healing others with plants and stones in previous lifetimes. This process led her to Peru numerous times to study with ceremonial plants, the Apus (Mountains) and Munay Ki Rites. The energy of Peru guided Sondra to continue her plant journey at Herb Pharm and The Blue Ridge School of Herbal Medicine in Asheville, NC. In 2015 Sondra immersed herself on the island of Kauai, Hawaii at Hale Pule where she completed a 200 hour Yoga and Ayurvedic teacher training. 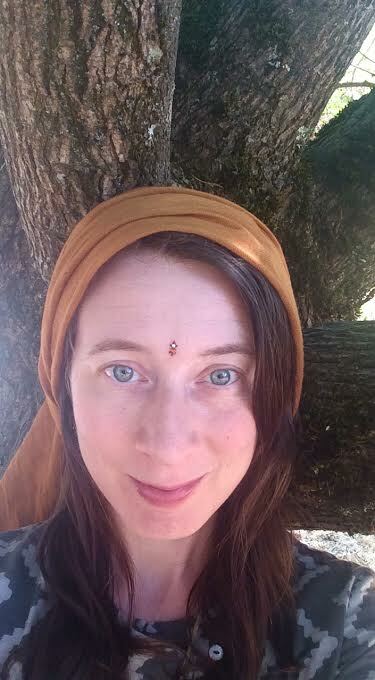 Sondra continued her studies at Hale Pule completing a 600 hour Ayurvedic Health Counselor Program. After the program she had a deep calling to travel to the source of Ayurveda and immerse herself in a Panchakarma at a Ayurvedic Hospital in Southern India. Her knowledge of health and healing has provided a deeper wisdom for integrating Eastern and Western healing modalities. Sondra continues to study with maestra Estela Roman in Mexico, learning Curanderismo from Aztec and Mexican Ancestral traditions. Sondra has been blessed to have diverse teachers and guides on her path that have given her the opportunity to deepen her wisdom of the original medicines of Peru, Greece and India. Her love of plants, animals and Mother Earth extend into each healing session invoking a deeper evolution for self-empowerment. The land she travels teaches her the innate intuitive wisdom that resides in all of us and the importance of honoring and praising our Ancestors. May the plants guide your way home!! !